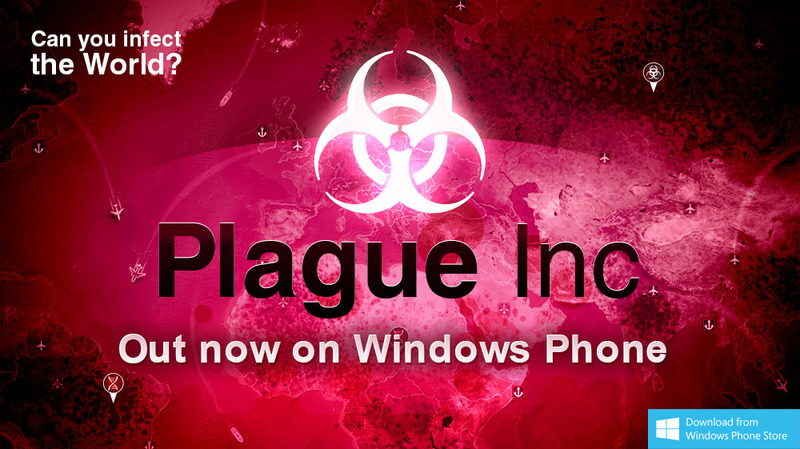 We are excited to announce that Plague Inc. is now infecting Windows Phones as it is available to download from the Windows Phone Store! Bringing Plague Inc. to Windows Phone has been one of the most popular requests that we get from fans - we are excited to see it live on a new platform! The game currently contains all the core gameplay. We are currently working hard to fix a few minor bugs (not the good world-killing kind) that have popped up, and then we will be adding our first expansion pack - the Neurax Worm! This will be shortly followed by other expansions, such as Necroa Virus, Speed Runs, Scenarios and the Simian Flu. Plague Inc. now available on Android! The Sound of Plague Inc.